Stock research analysts study publicly traded companies and make buy and sell recommendations on the securities of those companies. In this way they can exert considerable influence in today's stock marketplaces. 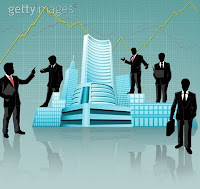 Stock analyst's recommendations and reports can influence the price of a company's stock - especially when the recommendations are widely disseminated through public appearances. The mere mention of a company by a "popular stock analyst" can temporarily cause its stock to rise or fall - even when nothing about the company"s prospects or fundamentals recently has changed. While analysts provide an important source of information in today's markets, investors should try to understand the potential conflicts of interest analysts might face. For example, some analysts work for firms that underwrite or own the securities of the companies the analysts cover. Analysts themselves sometimes own stocks in the companies they cover. The fact that a stock analyst - or the analyst's firm - may own stocks they analyze does not mean that their recommendations are flawed or unwise. But it's a fact you should know and consider in assessing whether the recommendation is wise for you. We strongly suggest that a little more digging on your part, beyond what brokerage companies are recommending, will always be to your benefit. It's up to you to educate yourself to make sure that any investments you choose match your goals and tolerance for risk. Above all, always remember that even the soundest recommendation from the most trust-worthy analyst may not be a good choice for you. Know what you're buying, or selling and why? Before you act, ask yourself whether the decision fits with your goals, your time horizon, and your tolerance for risk. Remember that stock analysts generally do not function as your financial adviser when they make recommendations - they're not providing individually tailored investment advice, and they're not taking your personal circumstances into consideration.